Our hearts go out to Glee star Cory Monteith&apos;s family and his girlfriend, Lea Michele, after he was found dead in a Vancouver hotel room earlier today. When interviewed by US Marie Claire recently, Lea said she couldn&apos;t remember a time when they weren&apos;t a couple. Michele has not yet publicly responded to news of Monteith&apos;s death. She stood by him during his recent stint in rehab, telling People magazine: "I love and support Cory and will stand by him through this. I am grateful and proud he made this decision." It has been reported the 31-year-old, best known in his role as Finn Hudson on Glee, possibly died of a drug overdose. However, an official cause of death has not yet been officially announced. "We do not have a great deal of information as to cause of death," said Coroner Lisa Lapointe. According to Vancouver police, Monteith was alone in the room at the time of his death. They have ruled out foul play. "Shortly after noon today, the Vancouver Police received a call from the BC Ambulance Service regarding a sudden death in a room on the 21st floor of the Fairmont Pacific Rim Hotel at 1038 Canada Place in downtown Vancouver. The deceased has been identified as 31-year-old actor Cory Monteith, who achieved great fame on the popular TV series Glee." Monteith had been checked into the Fairmont Pacific Rim hotel since July 6 and was due to leave today. Hotel staff went to check his room when he missed the check-out time. Earlier this year, it was reported that Monteith voluntarily admitted himself to a treatment facility for substance addiction. He had previously entered rehab at 19 years of age, and has openly discussed his long history with substance abuse. Fellow castmate Mark Salling, who plays Puck, tweeted a simple "no" following the police&apos;s news conference. Broadway star Kristin Chenoweth, who had a brief role in the show&apos;s first season, tweeted: "RIP CoryMonteith. You will be loved. Always," while Adam Shankman, a frequent director on the show, posted, "Goodbye my amazing and beautiful friend. The lights in my world just grew dimmer. The world just lose one of our best. 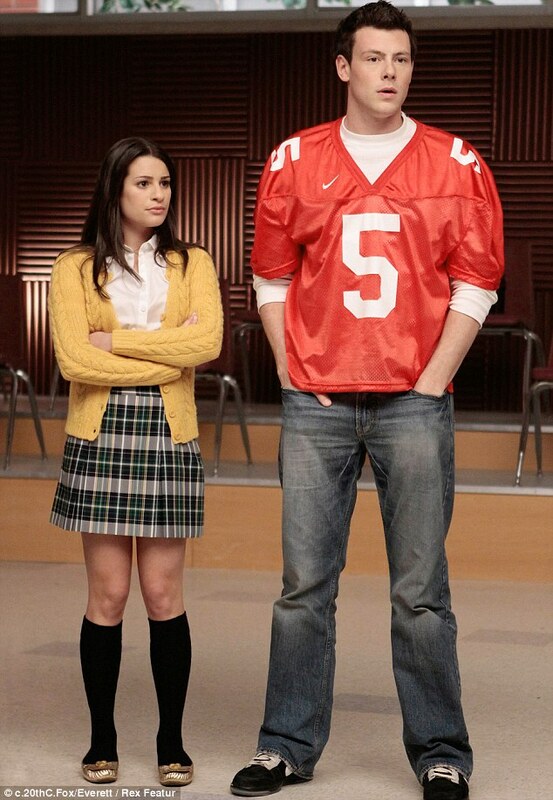 I love u so much…"
Dot-Marie Jones, who plays Glee&apos;s football coach, tweeted: "I have no words! My heart is broken. Cory was not only a hell of a friend, he was one amazing man that I will hold close to my heart forever." Iqbal Theba, who plays the school&apos;s Principal Figgins, tweeted simply: "OMG!! My Cory…"
Other celebrities have also responded to the news. New Girl star Zooey Deschanel tweeted, "This is such sad news about @CoryMonteith – what an absolutely tragic loss of a very talented young man." Taylor Swift posted, "Speechless. And for the worst reason", while Two Broke Girls star Kat Dennings wrote, "I can&apos;t fully process this news. Tragic, tragic loss of a young, promising, talented man. Cory Monteith, rest in peace. "We are in shock and mourning this tragic loss" Monteith&apos;s publicist, Melissa Kates, wrote in an email.